I was not right in my predictions that the debate in the European Parliament on the already agreed by the EU leaders on Monday, January 30th, new fiscal treaty would cause the traditional sharp criticism against the loss of community method and the European Parliament's role in the eurozone summits. Unlike other occasions, the debates on Wednesday (Feb 1) were heterogeneous and not very moving. The usual accusations were heard that the treaty was meaningless because there already was quite well functioning European legislation. 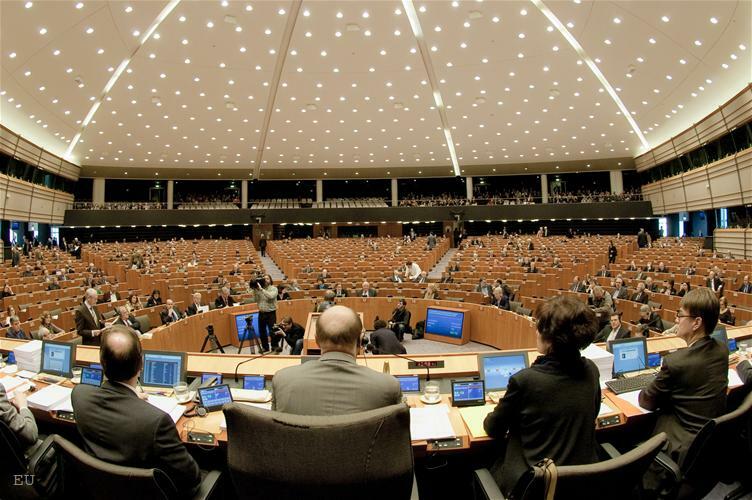 Maybe the reason for this lethargy was the fact that the EU leaders - Jose Manuel Barroso and Herman Van Rompuy - were very well prepared for the Parliament's usual attacks and yet with their introductory remarks organised preemptive strikes. 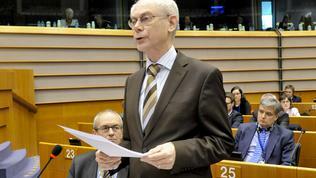 For example, European Council President Herman Van Rompuy announced that the treaty had to be considered as only one element of the reform of the economic governance, achieved in the last two years. "Reforms which involve both responsibility and solidarity, and which include the six-pack, which remains the backbone of our new governance architecture". With this sentence the European president disarmed even the strongest of critics among the MEPs, who constantly reproach that the six pack, created and approved in less than a year with the active role of the European Parliament, is sufficient enough to handle the crisis. In spite this very well targeted move of Mr Van Rompuy, still there was criticism in the House that the fiscal compact practically repeated the provisions in the six pack. It is true that the six pack has been created with the same purpose as the fiscal pact but it had to be written after the markets pushed the eurozone to the wall and forced the need of additional enhancement of the reform of the economic governance. In the end of last year it was commented a number of times that the six pack, as well as the other measures that are part of the economic governance reform, were not enough and more was needed. Alas, the proposed in the beginning of December changes to the EU treaties, aimed at precisely such enhancing of already existing measures, was blocked by Britain, which led to circumventing by going outside the EU law. As Mr Van Rompuy highlighted in the end of the debate, afterall the main objective was this agreement to become a main and integral part of the existing European treaties, to achieve better compliance, greater cohesion and convergence in the EU. 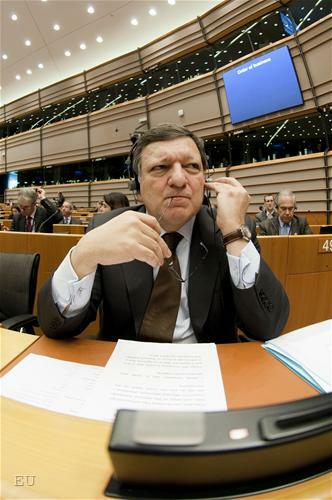 European Commission President Jose Manuel Barroso targeted another sensitive spot of the European Parliament - the community method. 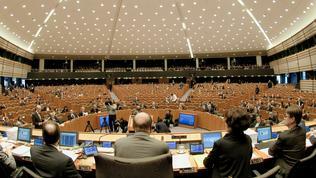 By the way, the community method is of the interest of EU's executive too. 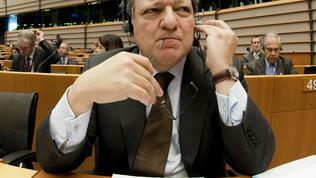 According to Mr Barroso with the agreed treaty and the endorsed at that same Council Growth and Jobs Pact the community method was actually enhanced, because the member states had realised that a large part of the policies that were under national competences, needed a common European approach. 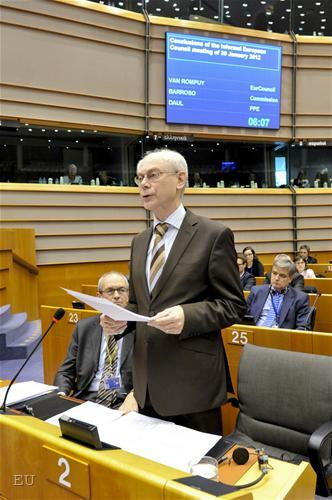 Something, however, which Van Rompuy did not entirely agree with. He underlined that "we have to be aware that many measures can be undertaken at European level: we are working on the single market, to use European funds, project bonds, but we have to recognise that in the end of the day the most important work is being done at the member state level". 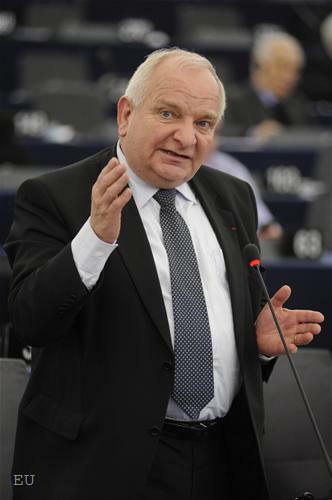 The leader of the biggest political group in the European Parliament - that of the European People's party (EPP), Joseph Daul (EPP, France), hoped that the treaty would be ratified as soon as possible and that the provisions in it will be entirely incorporated in the European treaties. According to the final text of the document, the treaty has to enter into force on the 1st of January 2013 after having been ratified by 12 countries. Its incorporation in the European law is envisaged to happen "as soon as possible", as in previous versions various deadlines were proposed - up to 5 or 3 years. Mr Daul stressed though, that the basis of the current troubles was that legislation was not fully applied and called the Commission to be vigilant and watch for countries that do not stick to their commitments. In fact, the new treaty introduces automatic sanctions for non-adherence with the rules. 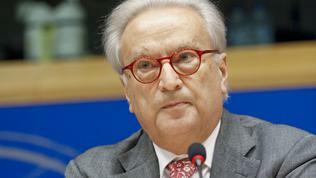 On behalf of the Progressive Alliance of Socialists and Democrats (PASD) spoke Hannes Swoboda (PASD, Austria). He chose to focus his statement on German Chancellor Angela Merkel by advising her to search for a new partner - "the future president of France Francois Hollande could be such a partner", he said. 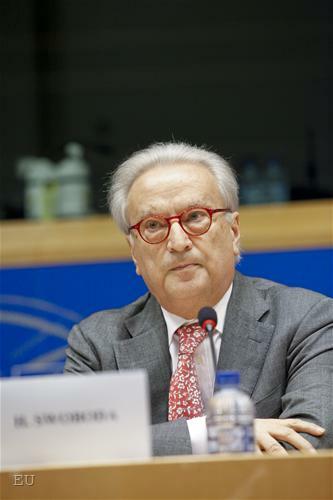 What could seem only as a hint for a political support for the candidate of the French socialists for the presidential elections this year, turned into a very clear support further in Mr Swoboda's statement: "We support him in his intention to reopen the treaty for negotiations. Mr Sarkozy's pre-election appearances will not help him and Ms Merkel too. She has to search for new partners", he concluded. This evoked a retort from his German colleague Alexander Lambsdorff (ALDE, Germany) who advised the Austrian MEP to leave the French citizens to decide for themselves who their president should be. 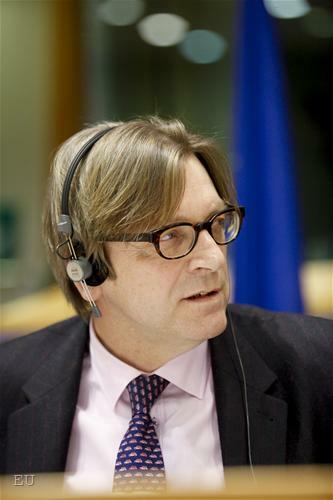 As usually most specific and emotionally committed was the former premier of Belgium and leader of the group of the liberals, Guy Verhofstadt, according to whom the outcome from the summit on Monday was 7 pages of words only and good intentions. He recalled that currently Europe needed actions and not words and quoted three examples: the European patent, which is a main tool for growth in the EU. Small and Medium enterprises (SMEs), he said, pay 8 times more for their innovations than the American SMEs. Secondly he mentioned the project bonds, of which he reminded that they were being discussed in the European Parliament for years. "Why don't we start with them tomorrow? Why wait for 2 years of debates in the Council and the other institutions?" His third example was related to the huge quantity of unused money from the structural funds. According to him, co-financing was the problem and called for immediate change of the regulation, so that it would allow countries in recession, like Greece and Portugal, to use this money. He proposed a quick introduction of project bonds - a new instrument for European financing directed at specific trans-European projects, described in the new initiative of the Commission Connecting Europe, presented last fall. 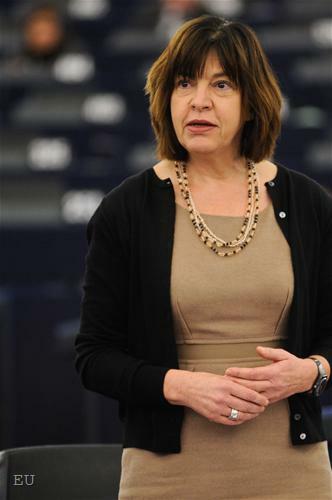 The co-president of the group of the Greens, German MEP Rebecca Harms, said that the Monday summit was a political farce. 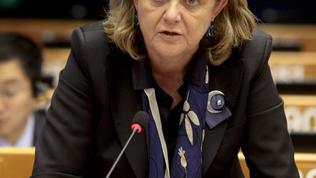 "Citizens more and more realise that these summits are a deception", she said and sharply criticised Polish PM Donald Tusk because, in her words, the interests of the non-euro countries were not defended. 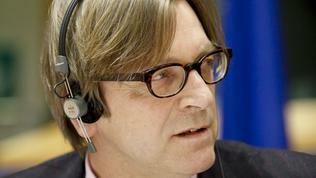 "This summit made me very ashamed on the issue of the non eurozone countries". In fact it was the participation of the countries outside the eurozone in the summits of those who share a common currency that is one of the biggest successes in the fiscal treaty, achieved precisely by Poland and its allies - the Czech Republic, Slovakia and Hungary. In the treaty it is explicitly written that the countries that have an ambition to introduce the euro can participate in those eurozone summits related to the EMU rules, with the competitiveness of these countries and also when the implementation of the new treaty is being discussed. For Portuguese MEP Elisa Ferreira, who was a rapporteur on one of the 6 proposals for the economic governance and a participant in a discussion of euinside on the economic governance in Brussels, called the treaty absolutely meaningless and criticised most of all the envisaged sanctions: "Who will believe a doctor if he cannot make a distinction between someone who is on a diet and another who has anorexia? In other words we will doom the patients to death this way. How many countries have to fall into recession so that the Council can understand that there is a problem with the diet they recommend? [...] We are creating a situation which is politically explosive", she added. 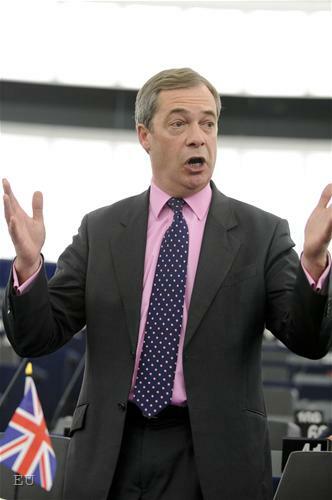 During the debate the passions got heated for a while thanks to the usual provocateur of such emotions, British MEP Nigel Farage, leader of the group Europe of Freedom and Democracy. 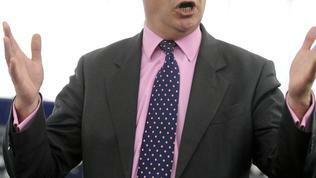 He used his statement to attack directly British PM David Cameron and to accuse him of actually transforming from a eurosceptic into an active supporter of "this disdainful pact", because he did not veto it again. He also criticised the fact that the pact envisages sanctions for countries that do not fit into the German vision of things. Moreover, he said, it is being proposed [by Germany according to an unofficial document published in The Financial Times] sending a European commissioner to "work in a building in Athens and to control everything". This reminded colonial times, he said and recalled that Greece had a soul, it was the birth place of democracy, "you are causing the misery of this country. 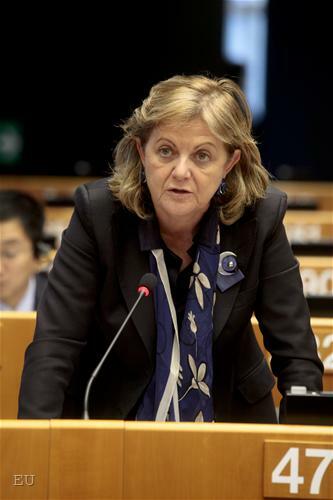 These people are brought to despair and desperate people do desperate things", the British MEP added. As during his statement he spoke about national socialism and the times of the 19th and the beginning of the 20th century at large, this caused a retort by a German MEP who asked for an apology. 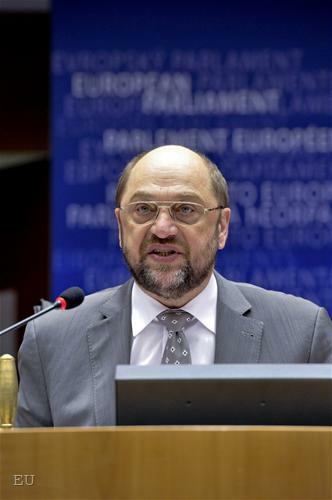 A lively exchange of words followed which forced President Martin Schulz to interfere and to remind Nigel Farage that in the European Parliament there were manifestations of nationalism too, expressed by putting the national flag at the seats of some MEPs, "you among them". 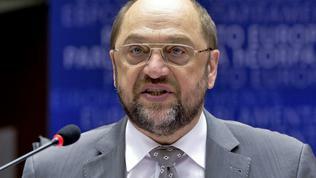 Mr Schulz warned that unless discipline was restored he would be forced to ask the MEP to leave but he left alone. In conclusion Herman Van Rompuy defended the treaty emphasising that the most important thing actually was the restoration of confidence and recalled that in 2009 it was the restoration of confidence that led to economic growth, which for its part leads to jobs creation. "There is 1 golden rule - there must be a balance - there is a deficit that can be tolerated. But if there is structural deficit, there have to be possibilities for manoeuvring. 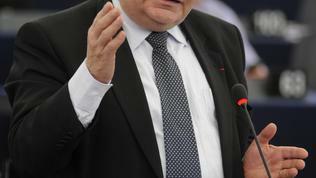 A deficit of 0.5% at any time is precisely that number", the European president added.